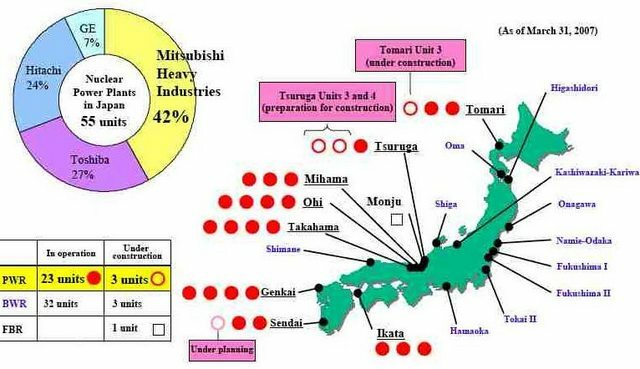 This map shows the exact location of the 55 Nuclear Power Plants of Japan. This information is very useful because of the nuclear emergency generated after the Earthquake and Tsunami of 8.9 degrees. It was already reported Nuclear Power Plant Onagawa is on fire and also no radioactive leaks at nuclear power plants were registered.